Scientific innovation and geopolitical interests collide in this significant new work of popular physics. The 2012 discovery of the Higgs boson at CERN, in Switzerland, marked the beginning, not the end, of particle physics. 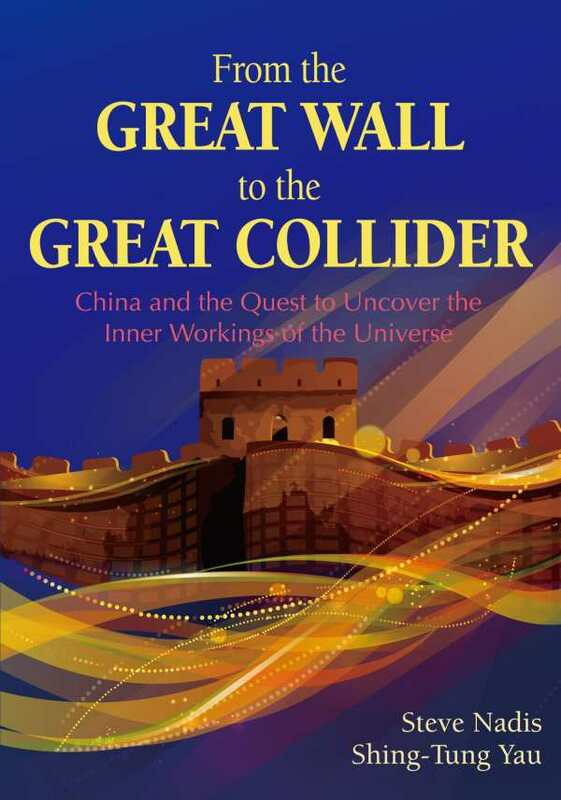 In their exciting new book, From the Great Wall to the Great Collider: China and the Quest to Uncover the Inner Workings of the Universe, Steve Nadis and Shing-Tung Yau brilliantly connect the dots between the Higgs discovery and China’s ongoing plans to build the world’s largest, most powerful particle accelerator that would usher in a new era of scientific inquiry. Nadis is a seasoned science journalist. Yau is a mathematics and physics professor at Harvard University and winner of the Fields Medal, among other prestigious awards. Needless to say, evidence of brain power is not lacking in the book’s six chapters, which trace the history of theoretical physics to modern-day research and the need for a bigger, better particle accelerator—100 kilometers in circumference—capable of smashing electrons and positrons together, as well as protons and super protons. The book’s scope is vast. The authors illuminate the limitations of the famous collider at CERN, and how more exact collisions are needed to assess Higgs bosons in relation to theories of super symmetry and dark matter. While the theoretical physics explored can be both abstract and technical, Nadis and Yau write clearly, with simple analogies, and do their best to keep the layperson interested. The book makes a great companion to popular physics titles like Stephen Hawking’s A Brief History of Time. But the authors also investigate historical and political aspects of scientific innovation, the relative investments of different governments and nations, and the practical applications of those investments—such as the development of the World Wide Web at CERN—and how China, more than the United States, is poised to build the next great collider. This makes for an interesting read on geopolitics in addition to science.